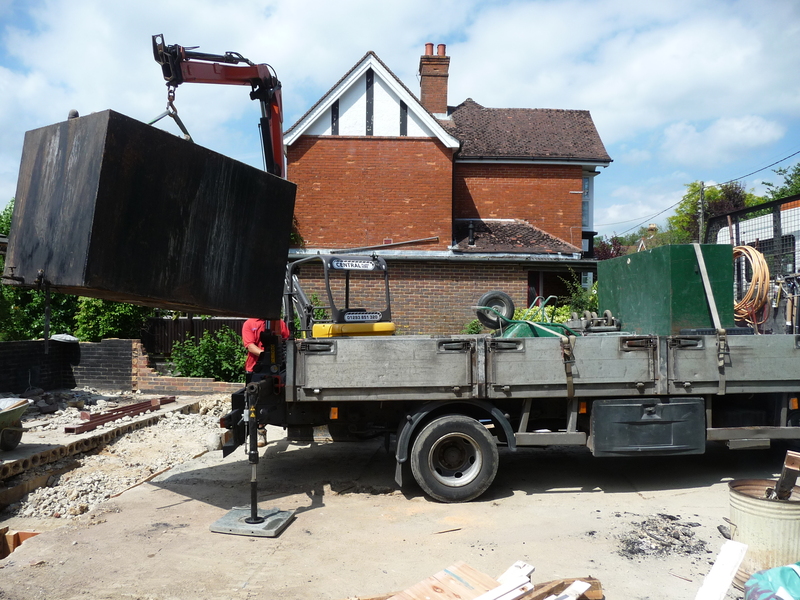 To build the new extension, new foundations need to be laid. 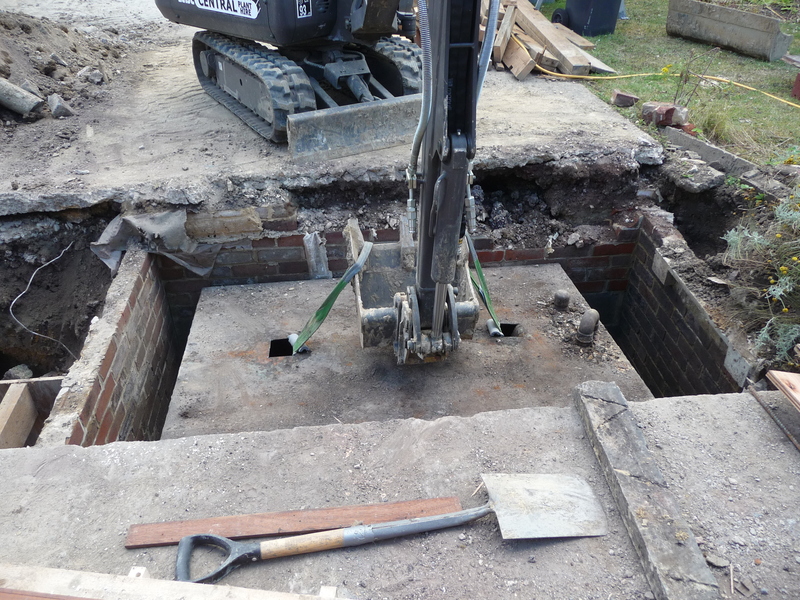 When the builders started digging, they discovered how the retaining wall had been built back in the 1960s. Essentially, all the ground nearest the road had been excavated, so that the wall could be built as a standalone structure. 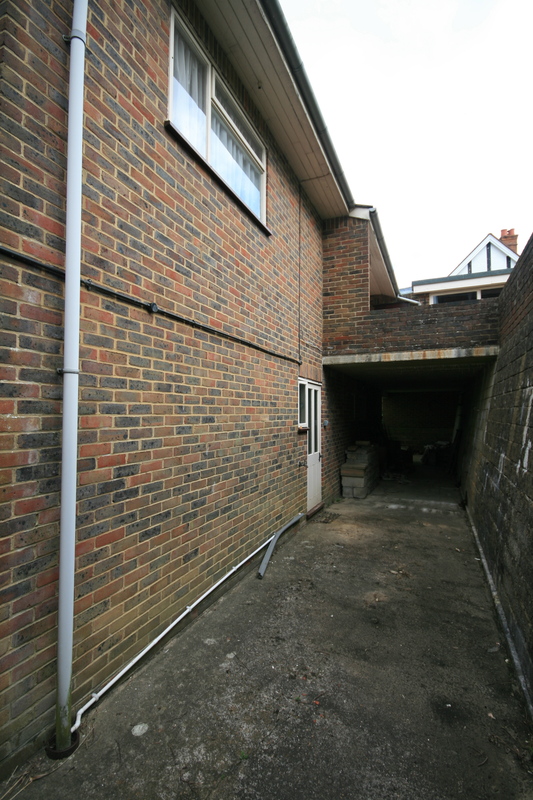 When complete, the excavated earth was reinstated against the wall. Unfortunately this was not to be, as the ground beneath the oil tank is also disturbed. 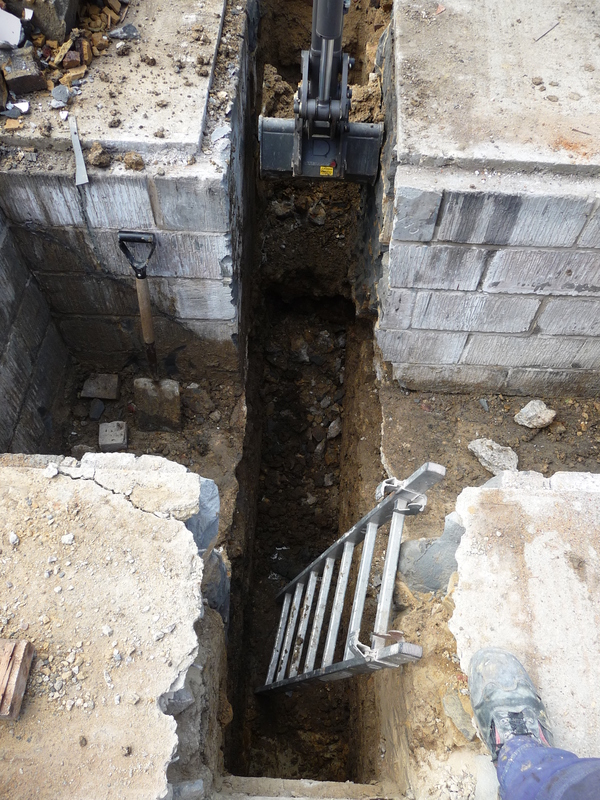 Building Control have said the only acceptable method of digging foundations is to get to the underside of the retaining wall footing, maybe another 1.2 metres of digging. Both options seemed like overkill for a stretch of foundation that will only support 30cm of internal space and a 1 metre doorstep!! 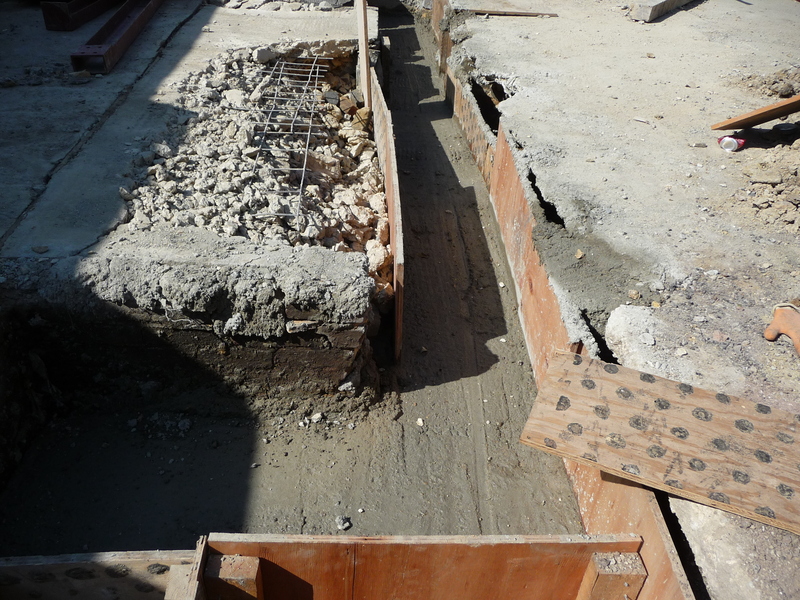 So, we’re going to reduce the size of the internal space by 30 cm and avoid the need for the foundation. 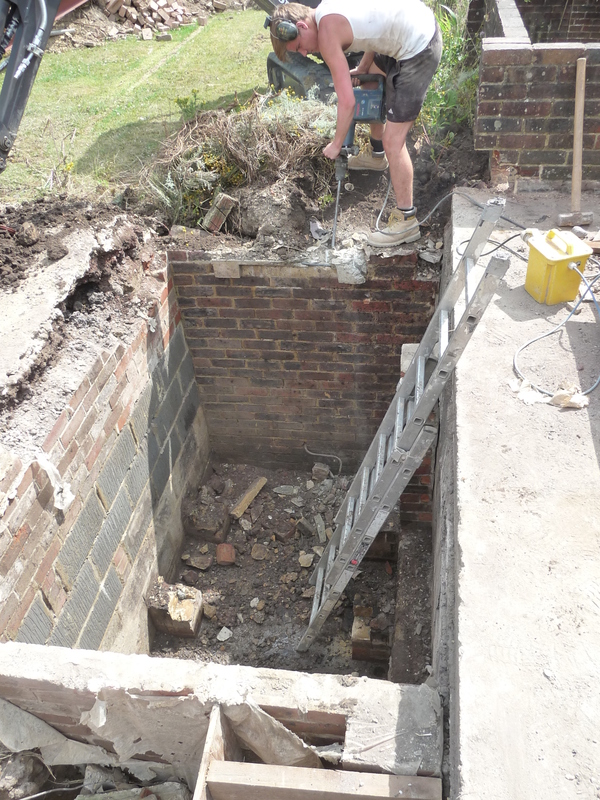 Let’s hope that the engineer says it’s ok to build on the retaining wall otherwise my lovely ovens & utility and Chris’s ceiling speakers may be at risk……….